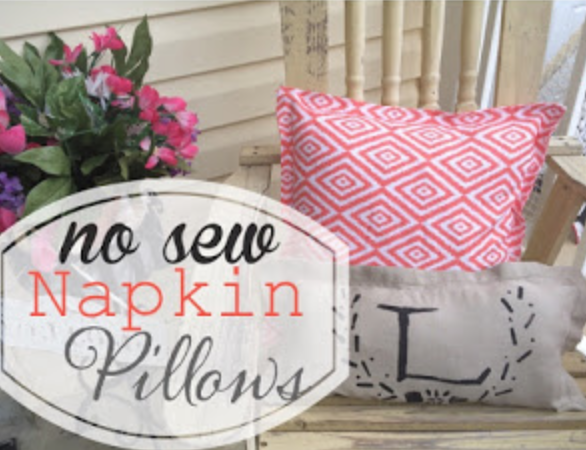 This was such a fun little project that really JAZZED up my front porch! 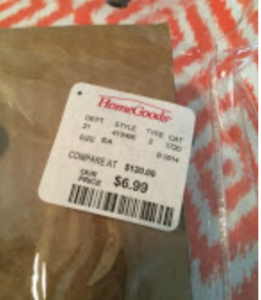 I scored big time $6.99 for 6 napkins! First do a once over the napkins to smooth out any creases, believe me, it makes things much easier! 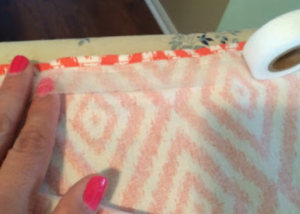 Then measure out the fusing tape along the inside seam of the napkin. 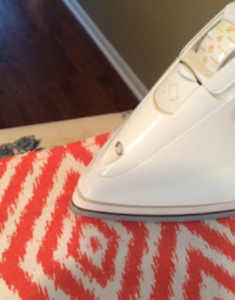 Lay the second napkin over the napkin with the fusing tape, then iron. I used the heating setting as suggested for the fusing tape. Repeat for three sides, leaving one side open to stuff! 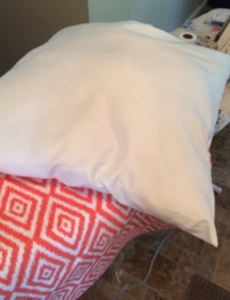 Stuff the pillow into the opening. 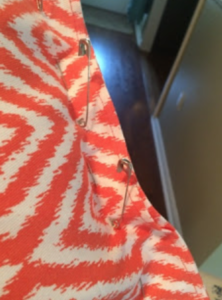 This part can be tricky, I decided to use safety pins to help hold the last remaining opening so that I could easily line up the fusing tape and then iron it together, completing the pillow. 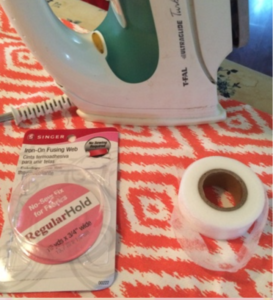 *tip* keep pins in place until the iron fused tape is completely cooled and you have given it a slight tug to make sure it’s going to stay. Then remove those pins! The monogrammed napkin pillow was a linen napkin I folded in half and fused together with the iron on fusing tape as well. Then I had some black craft paint and a sponge brush sitting around and I got creative, which literally took me all of 5 minutes to make! 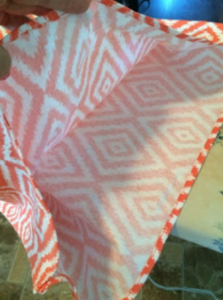 Posted in Decorating, Do It Yourself Projects, Get Organized NOW!